Lover of all things funny. Sophia is an award-winning playwright and comedy writer. 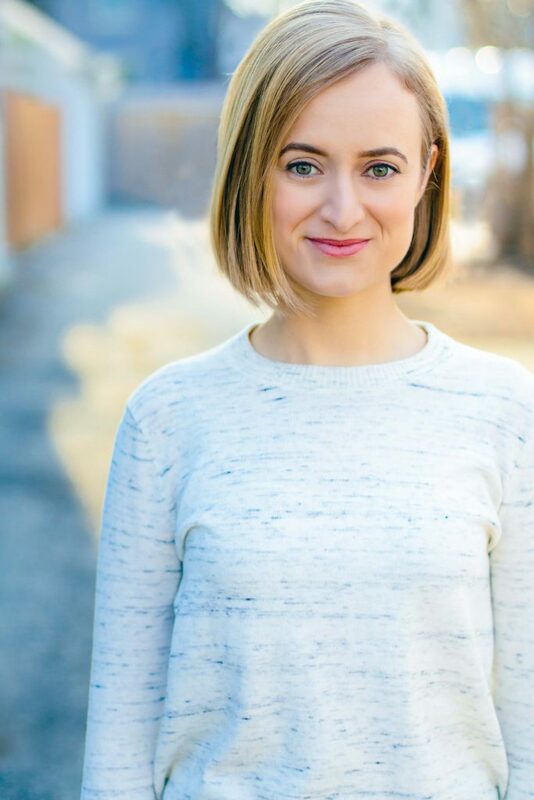 Sophia was awarded the Ellen Ross Stuart Opening Doors Award through the Ontario Arts Foundation (2018) and The Second City Award for Best New Comedy (2015). Her writing is intelligent, heartfelt, farcical, sometimes weird and dark, and occasionally sexually awkward. To read about her plays The Philanderess (a gender-swapped farce based on George Bernard Shaw’s The Philanderer) and Liars at a Funeral (a black comedy about a grandmother faking her own death) click here. Sophia is also an emerging screenwriter. To learn more about her projects, including two short films (Shut Up, John Cusack and Floss) and the multiple web series projects she’s developed, click here. As an actor, she’s cast as quirky ingenues, smarty-pants sidekicks, and neurotic ladies. She will make a fool of herself to make you laugh. “Sophia does assertiveness with underlying insecurity better than just about anybody”, said an industry colleague in reference to her recent mop commercial. In the theatre world, Sophia recently appeared in The Canadian and Leading Ladies at the Thousand Islands Playhouse (full resume here). Script development is one of her all-time favourite things; she has worked on multiple new play workshops with Nightwood Theatre, Litmus Theatre, Theatre Aquarius, among others. She’s an accomplished indie producer and consequently a caffeine addict. Sophia has produced her own work and assistant produced for local companies. In 2015, she was awarded Theatre Ontario’s Professional Theatre Training Program grant in Artistic Producing with Nightwood Theatre, afterwhich she worked as their interim Marketing Director. She assistant directed Gregory Prest’s production of The Heidi Chronicles at Soulpepper (2016) and helped judge Queen’s University’s Henry Voaden Playwriting Competition (2017). A proud feminist, Sophia was one of the leading forces behind the #FringeFemmeTO movement and co-produces the sold-out annual fundraiser Feminist Debaters (2016-2018). Sophia was raised in Kingston, ON and is a graduate of the University of Toronto (Honours B.A.) and Sheridan College (Diploma in Acting).